Remember New Zealand food xtravaganza adventures? Remember Waiheke Island? Oh how sweet was the day … Our biggest worry was which beach to pick for maximum sun exposure, which hill to conquer to have the best views or what winery to tackle for lunch. Not a worry in the world. 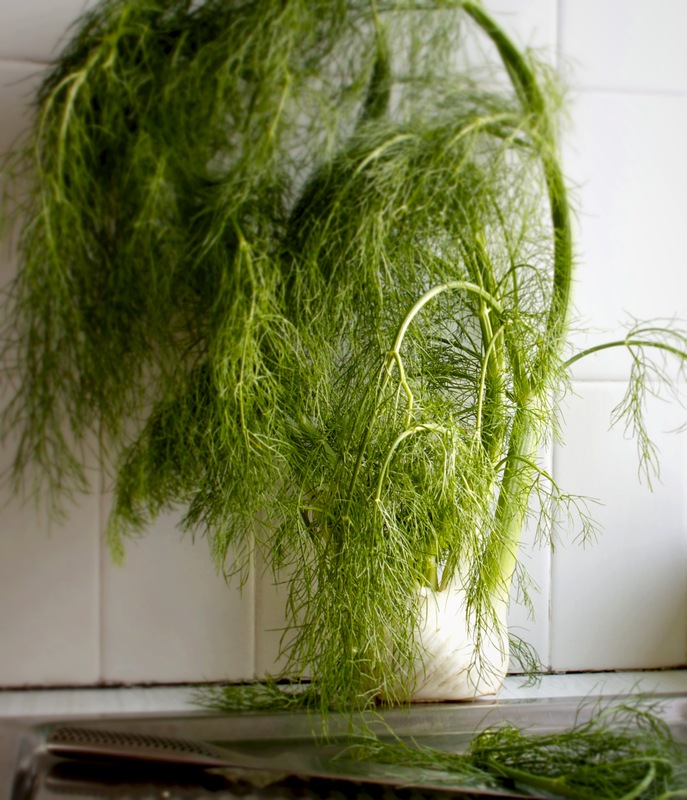 On the way back, after having dismantled the catch of the day from a local hippie, we would happen to run into a bush of Wild fennel. What else do you need for your fresh fish? That Wild Fennel was such a relevation to me. Urban girl as I am, coming from good old Belgium, no way that I have met a bush, no way that I have ran into a gracious fennel just chillin’ around. Waiting to pair up with a smoked Kahawai and waltz the night away in canapés. A quick Google search tells me however that I’m as blind as a bat. Cause fennel is considered a weed. That’s right, that annoying thing that you try to get rid off, but stubbornly grows back on any occasion. It’s native to the Mediterranean, which doesn’t surprise me at all. They sure love their “weed” ;). 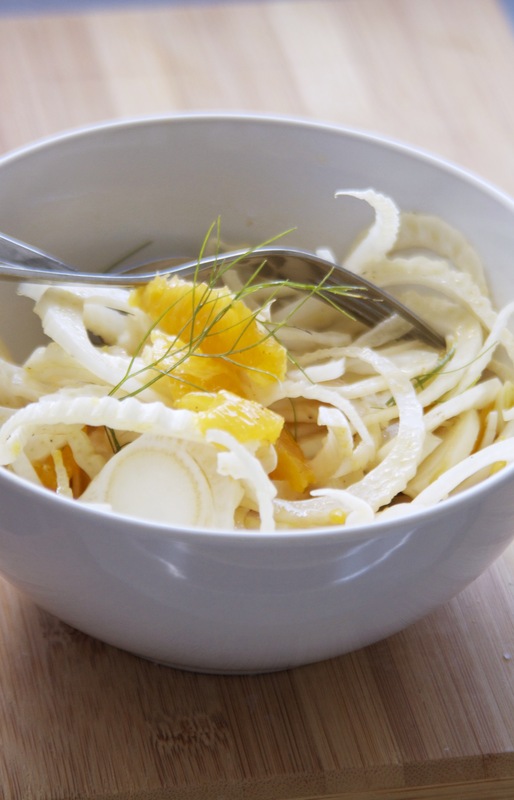 A delicious Fennel Salad with Oranges. What else does one need to accompany a wonderfully grilled fish or some slow roasted pork or even better Smoked Kahawai. Although it does a pretty good job holding it’s own ground too. 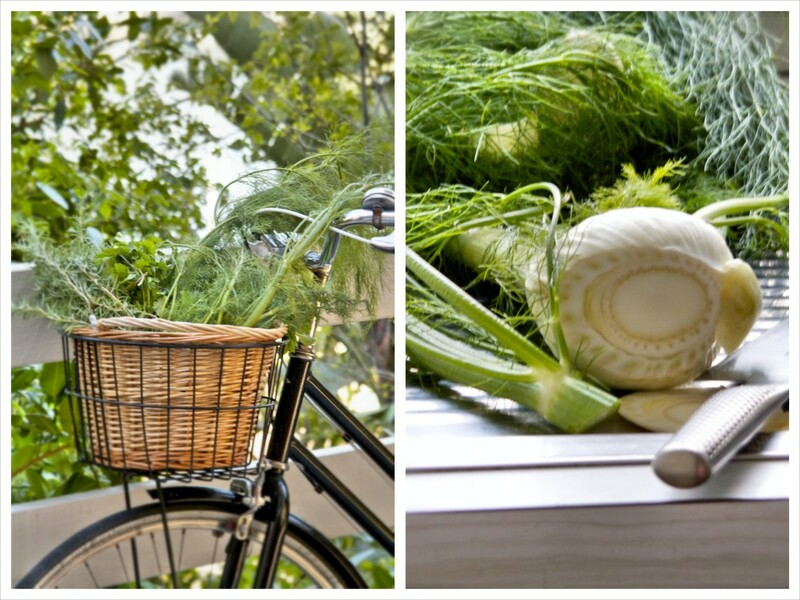 The juicy oranges hitting the fennel in it’s soft spot. A perfect match! Now I know I’m going wild in my dreams here. Where on earth in Sydney will I find this weed? Well I’m sure it being a weed and Sydney siders loving their grass 😉 I’m bound to run into it sooner rather than later. But in the mean time I’ve found a legal civilized way to run into my fennel friend. King’s cross market. Powerful wonderful fennel bulbs with lots of green. It immediately transported me back to Waiheke making my wildest dreams come true! Segment the oranges or slices them up thinly. I you have organic oranges you can slice them with the peel. Collect the juices from your oranges as well for the dressing. Roast the almonds in a pan until dark golden brown. 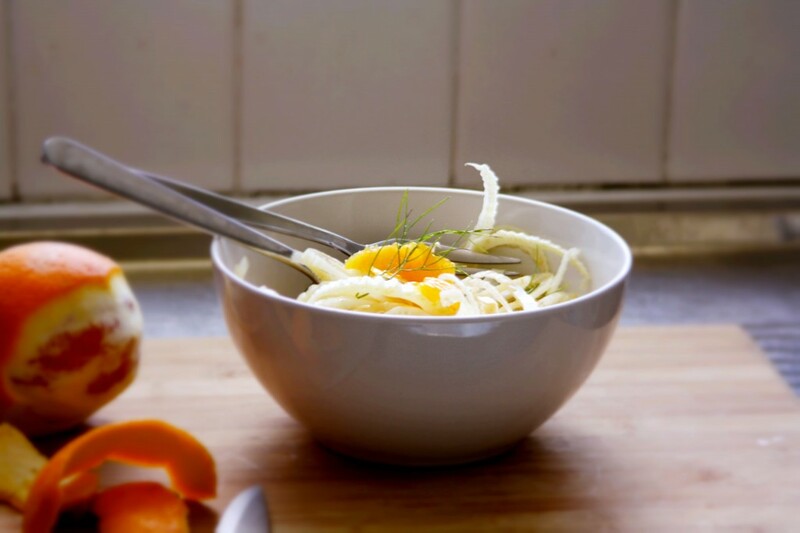 In a bowl mix fennel, oranges, juice, squeeze of lemon, olive oil and salt and pepper. Add crushed fennel seeds and some fennel leaves. Serve with your favourite roast as a side or crumble some feta on top to serve as a starter. This is the one salad you are allowed to make in advance and will get better with time. Previous story Cuckoo? Coco? Nuts? Coconuts!